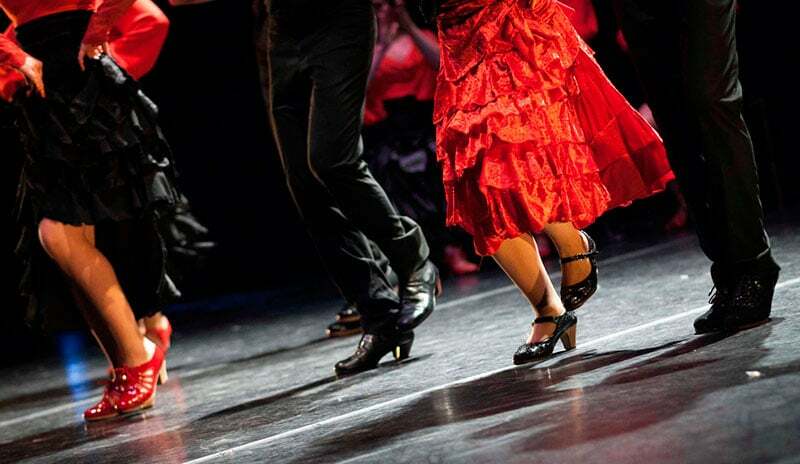 Have you ever wished to have the chance to learn to dance Flamenco? Well, we can make your dreams become true, with our Flamenco Class Madrid. Don’t miss this opportunity to impress your friends and relatives with the outstanding Flamenco moves learned in our Flamenco Class Madrid! Hearing these words the first thing you think is … Spain! Doesn’t it? To understand the meanings of tapas and sangría is easier, isn’t it? But what about flamenco? The flamenco is dance and music together with a lot of passion. It is a dance characterized by clapping, footwork and hand, body and arm movements. It is a mix of arabic, jewish, gipsy and christian culture. Flamenco Class Madrid gives you the opportunity to also have a fun time with your group. You will share some laughs seeing each other’s endeavors to learn the dancing moves, and later on you can show off as a Flamenco crew. To understand it and feel it, the best way is to try it. MADRIDE TRAVEL offers you the oportunity to try a Flamenco Master Class with a professional teacher where your dream about experiencing this amazing cultural dance and music can become true.